Bajrangi Bhaijaan 2nd Saturday (9th Day) Collection in China. Huge Growth Again. 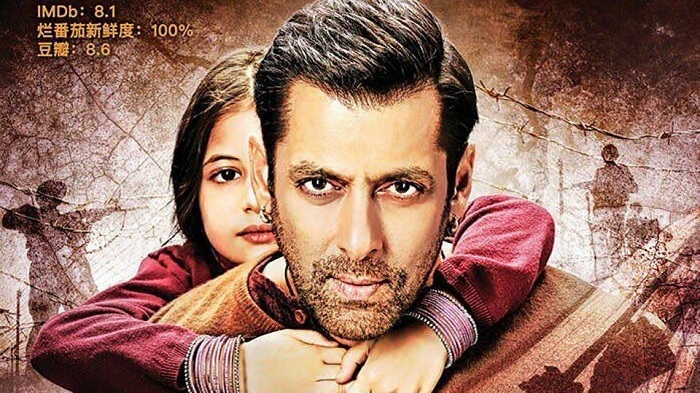 Bajrangi Bhaijaan has shown huge jump again on 2nd Saturday (9th day) at box office. In fact 2nd Saturday business is bigger than 1st Saturday itself. This is simply outstanding trending. BB registered a mammoth jump of approx 80-85% from 2nd Friday. BB has already crossed $3.15 million and we expect film to collect $3.2-$3.25 million by the end of the day. That is a whopping INR 20.5-21 crores approx. Thus, Bajrangi Bhaijaan total after the end of Day 9 is expected to stand at a staggering $23 million that is INR 149.5 crores. With such huge jump on 2nd Saturday film has almost ensured that it will cross 200 crore in China. In fact the way things are going film should achieve this feat by the end of second week. After the end of 9 days we can assume and estimate that BB should collect 250-300 crore in China alone. Numbers can go even higher. Film is a huge HIT and the 3rd biggest ever after Dangal and Secret Superstar. Good news for all Indian and Bollywood movie lovers. First Week Total -> $18.03 million. Sat -> $3.2-3.25 million (expected). Grand Total -> $22.98-23.03 million (INR 149.5 crores expected). Tum log sirf excuses hi do..
Dangal and SS ke time bhi bahoat competition thi phir bhi Aamir ke vajah see 100M cross kiya..
Is the movie bajranji bhaijaan released in china with just chinese sub titles or chinese dubbed language?